What is micropigmentation and microblading? 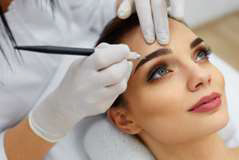 Micropigmentation, or permanent make up, is an innovative cosmetic procedure that enables both men and women to enhance the shape of their eyebrows, hairline, lips, eyes, and more, through the process of depositing pigment into the skin's dermal layer. This smudge-free treatment lasts for years and is a great way to restore confidence and self- esteem in those with alopecia, hair loss, chemotherapy patients, and more. At Diva-Derm your permanent makeup is performed with the Nouveau Contour machine with intelligent sensory technology. It senses the depth and topography of the dermis aiding in the outcome of sheer perfection! It is rated the #1 elite device in Europe and USA! It’s the finest in the digital realm and provides the state-of-the-art modalities delivering a wide variety of aesthetics, cosmetic and medical treatments. The machine has limitless options which could be used to perform all the associated treatment such as permanent makeup, 3-D powder brows, micro hair strokes, micro-blading, eyeliner, lip liner, and lip shading. Hair follicle stimulation and paramedical treatments such as drying needling which promotes collage production of skin and lips. Permanent makeup is a cosmetic procedure similar to tattooing. The cosmetic implementation technique used in permanent makeup deposits colored pigment into the upper layer of the dermis. Terms such as “micropigmentation” or “micro-pigment implantation are commonly used to refer to permanent makeup techniques. What is involved in performing permanent cosmetic procedures? Permanent cosmetic procedures involve the use of hand-held digital device that punctures the skin with a very thin needle and deposits the pigment into the desired area. The process starts with a consultation, followed by the application of pigment, and follow-up visits to assess the results after the skin has healed. Before and after photos are usually taken. Who can benefit from Permanent cosmetic procedures? Permanent cosmetics procedures are an ideal solution for men and woman of all ages who want to enhance their natural features. People who have busy lifestyles or enjoy sport activities and want to look their best at all times – will appreciate the convenience of not having to refresh their makeup throughout the day. It can be especially beneficial for people with certain medical conditions such as allergy to traditional cosmetics. Depending on the procedure performed, you can expect various degrees of swelling or tenderness. 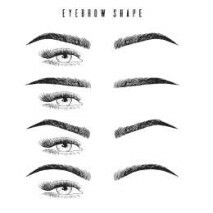 For example, eyebrows or lash enhancement usually have very little effect after the procedure. However, lips or eyeliner may show minor to moderate swelling. Full lip color will show more effects than blended lip liner and so on. The degree of effects also differs from individual to individual. People who take blood thinner can also experience some minor bruising or slight bleeding during the procedure. It is rare, but it can occur. These post-procedure effects will subside in a day or two. Also, expect the color to appear much darker in the first week to two weeks after application.